Akira YOSHIDA's atelier "Studio Ban" is participating in "Super Open Studio" this year again. His atelier is open to public on November 3 and 4,2018. 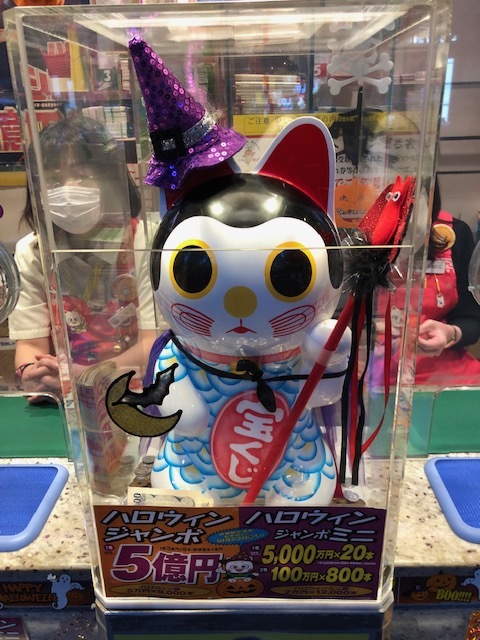 This work was commissioned by Japan's No.1 lottery stand "Nishi Ginza Chance Centre".You can see the cat wearing Halloween costume now!